Installing a roof on a building is a big job with many various and sometimes changing components. Effective coordination and communication between the crew needs to happen, but unfortunately schedules can get derailed in the process. Plan around the weather. Use a satellite weather monitoring system to get the forecast in real-time. This will eliminate scheduling conflicts and help to avoid costly delays. Make sure your materials are on site. Some products are easily purchased, but others may need to be specially ordered in advance. If the latter is the case, you will need extra time to ensure everything has been delivered in time to begin your project. Designate a foreman/manager/site supervisor. This person will direct and supervise the roofing process, plan the work to be done for the days ahead, make sure the installation is done to standard, and secure materials, equipment, manpower, and subcontractors (if needed) to keep the project moving smoothly. Preferably, this person will not be installing, but rather spends his/her time supervising and coordinating. Use scheduling software. Every project should have a plan and schedule set in place before ground breaking day. It should be allotted into manageable phases with completion targets clearly determined. The schedule should be updated daily and distributed to all parties involved in the project. 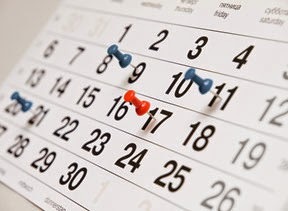 Making your trades and employees aware of the timelines will make meeting deadlines a breeze. Get a dedicated delivery vehicle. To prevent unforeseen shortages, breakdowns, or to replace broken tools, have a vehicle and dedicated "runner" available to handle these problems as they arise. You want the foreman and contractors to be on the roof working and coordinating, not dealing with equipment or material errors. All of these steps will help ensure that your roof is completed on schedule. And remember: preventing problems takes planning!